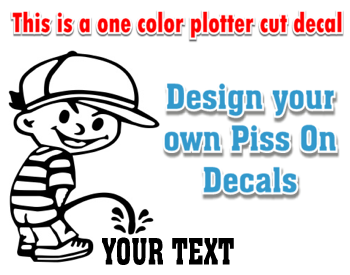 Design your one color plotter cut Pee On decal live and see exactly what it will look like. Slect from our many Peeing designs and add your own text. 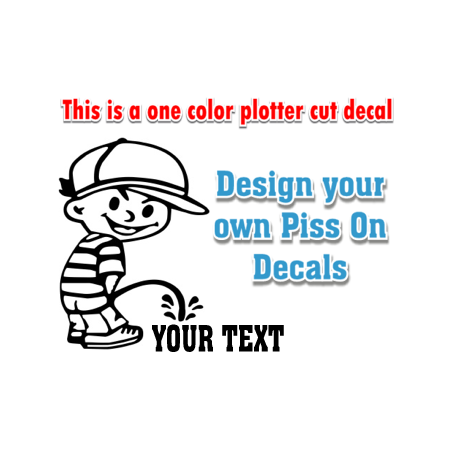 "The design tool is ready to use, we will be adding more pee on image soon"
Pee On decals are a great way to express yourself or tell some one what you really want to say! Select from our many styles, Pee boys, Pee girls, Pee dogs and more. Easy to order with your custom text. Don't worry about making your design fit the layout box perfect. 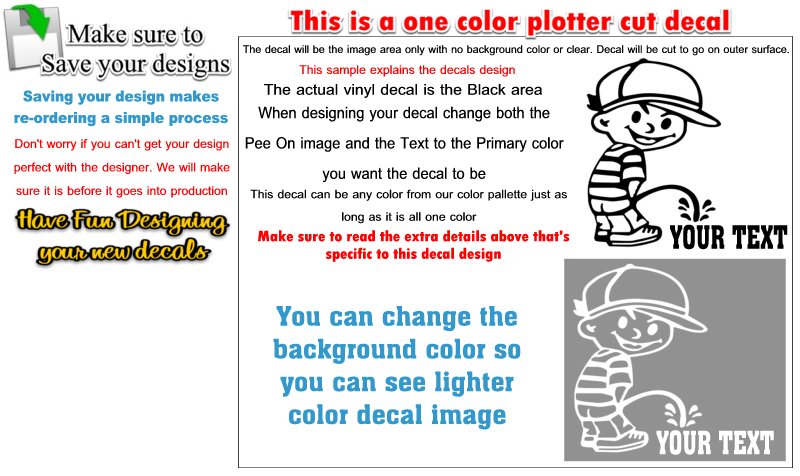 Use this as a guide to preview your Pee On Decal setup and color. We will do the final setup as per. the size you select when ordering.